WASHINGTON — NASA says it decided to cancel a lunar rover mission last month despite a renewed focus on lunar exploration because that one-time effort did not fit into a plan that emphasizes a much higher cadence of missions, initially flown commercially. In a May 3 statement, NASA said it decided to cancel Resource Prospector, a mission still in its early phases of development to study water ice and other volatiles at the lunar poles, because it was not suited to its Exploration Campaign, NASA’s concept for a series of missions that will initially use small, commercially developed landers, followed by larger landers. NASA confirmed April 27 that it was cancelling Resource Prospector, a day after an open letter to new NASA Administrator Jim Bridenstine by lunar scientists questioning the reported cancellation. The agency said at the time, and confirmed in the new statement, that selected instruments from Resource Prospector will fly on commercial landers. The April 27 announcement also coincided with the release of a draft request for proposals for its Commercial Lunar Payload Services (CLPS) program, where the agency will acquire accommodations on commercial landers under development for payloads like Resource Prospector instruments. 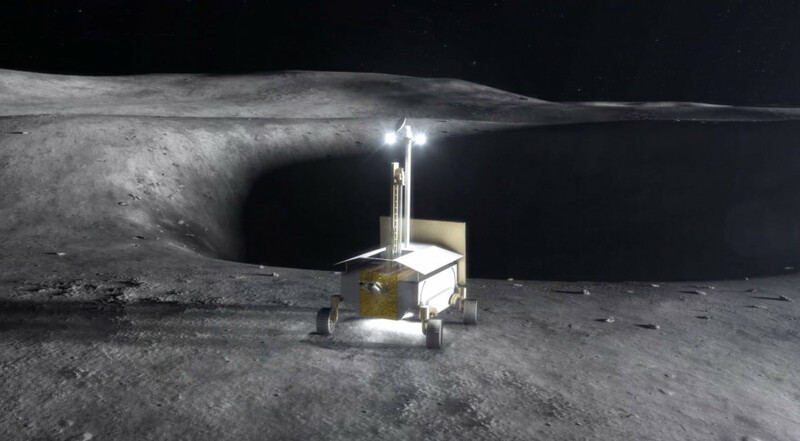 “We’ll leverage commercial capabilities for these small payload deliveries, and CLPS missions will play an important role in our expanding and sustainable lunar exploration strategy,” Bridenstine said in the May 3 statement. He is scheduled to speak at a May 8 industry day at NASA Headquarters about the CLPS program. Jurczyk said that a shift of lunar missions to the agency’s Science Mission Directorate (SMD) has created a desire to do more missions than a one-off concept like Resource Prospector, even though early missions are unlikely to be as sophisticated as that rover mission planned to be. Those new missions, he said, will be coordinated with NASA’s space exploration and technology directorates. Assuming that review confirms the cancellation decision, NASA plans to move ahead quickly with a regular series of commercial lander missions. Jurczyk said that Thomas Zurbuchen, NASA’s associate administrator for science, wants to start flying two missions a year starting in 2019 and going through at least 2022. “We’re not going to be discouraged if the first one doesn’t work,” he added.